Giveaway closes at 23:59GMT on 4th December. Comments made after this time will not be entered. “Rules” can be found here. I’ve been pretty good at remembering so far! Your review on it is awesome. Enter me, please! LOVE this mascara! Please enter me! I’m entering because I haven’t seen this in Canadian stores at ALL… which is kind of unfair, really. enter me please. 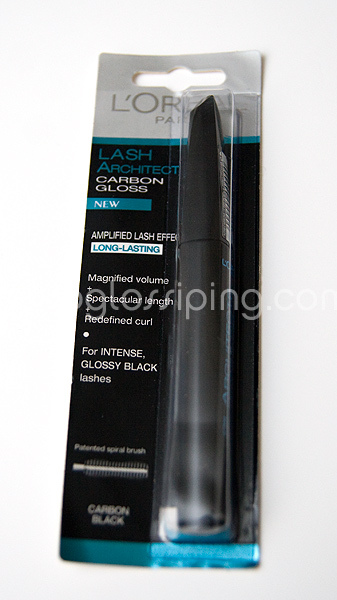 I am a mascara fiend and they have all the right words… ‘carbon’& ‘gloss’ – it just sounds like it will work wonders! Would love to try this one, so please enter me!!!! Count me in please – thankyou! I’m in dire need of new mascara – count me in! Ooh can’t resist a good ol mazzy!!! Enter me pleeease! Yay for mascaras! I haven’t found my HG yet. Would love to give this one a go. This advent thing is so awesome! Enter me please!